Trébeurden offers a rugged indented coastline. At the seaside you can find sandy beaches with various expositions and a marina. 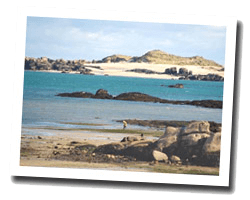 A coastal path allows you to admire beautiful views on islands and peninsulas, and beautiful sunsets. Island Milliau, with a preserved environment, is accessible by foot at low tide. 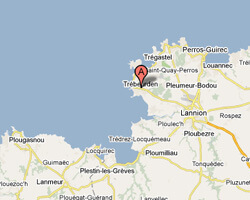 In Trébeurden enjoy a seaview holiday rental. 8 rooms 200m2. Close to the beach. terrace with barbecue. House 7 rooms 145m2. Close to town centre. terrace with barbecue. 5 Bedroom(s), short stays possibility. Villa 8 rooms 300m2. terrace. 6 Bedroom(s), short stays possibility. House 4 roomss 80m2. Close to town centre. terrace with barbecue. House 5 rooms 90 sqm. Sea view and beach access by foot, nice and cosy house, terrace facing south to enjoy « aperitifs » and meals.